During your in-patient stay you will enjoy a comfortable bed room with a modern en-suite bathroom. Our rooms match the standards of those of a four-star hotel and go hand in hand with modern architecture and design as well as possessing the required medical functionality. 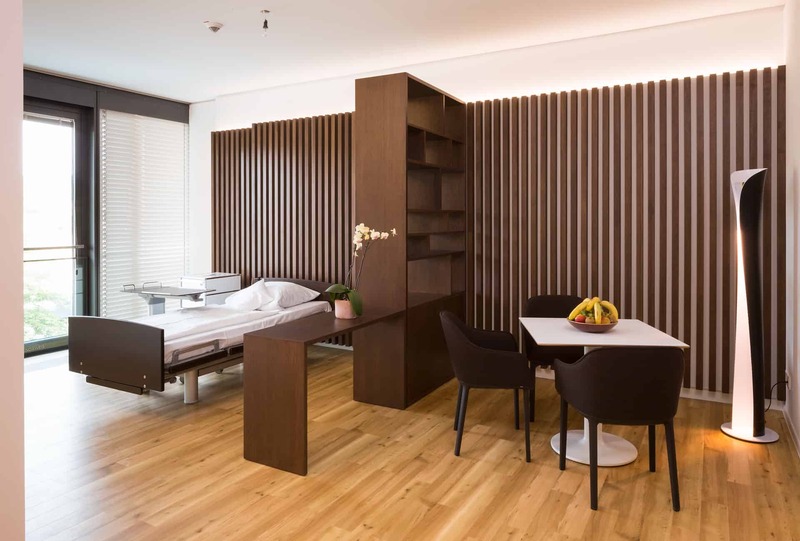 During your in-patient stay we also offer you the opportunity to stay in one of our 55m²-58m² sized suites. 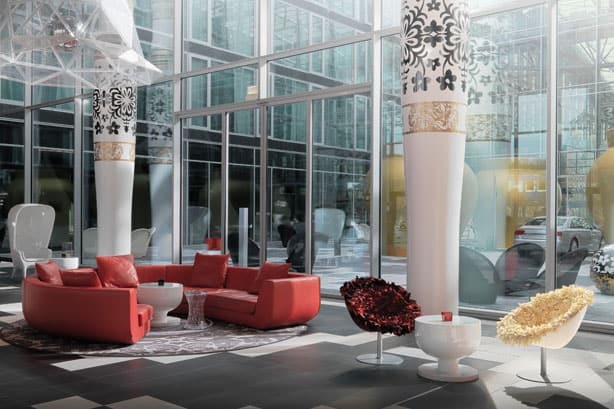 The extraordinary architecture and top quality interior design comprise a successful combination of medicinal functionality and exclusive design. 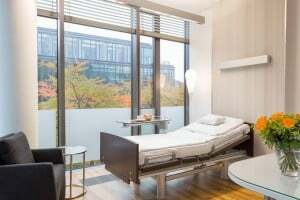 The Beta Klinik Bonn is situated directly next to the Hotel Kameha Grand and is connected by the shared basement. 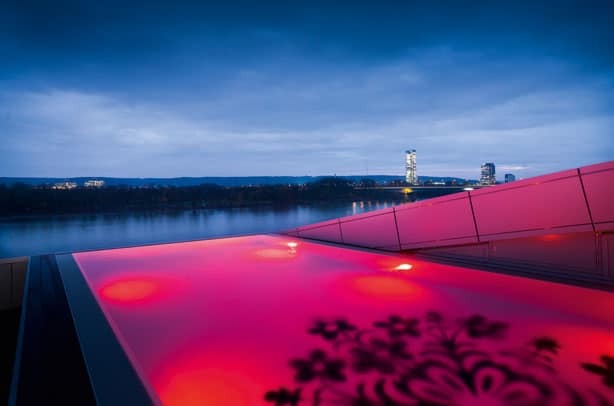 The Hotel is known for its extraordinary architecture and superb location on the banks of the Rhein. 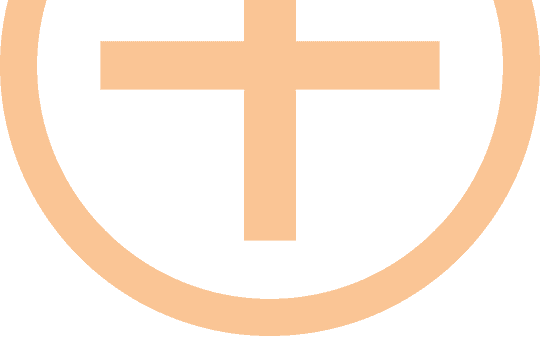 We have rooms available which are reserved for our patients and family members at very attractive prices. 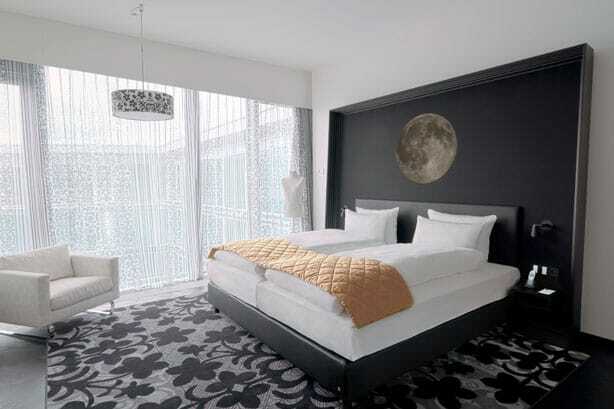 We will gladly book your accommodation for you at the Kameha Grand. 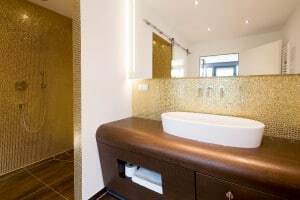 According to availability or at special request we will also book other hotel accommodation for you at one of the very other fine hotels in Bonn and the surrounding area.